PAZA began in 2007 as a secondary Peace Corps project. 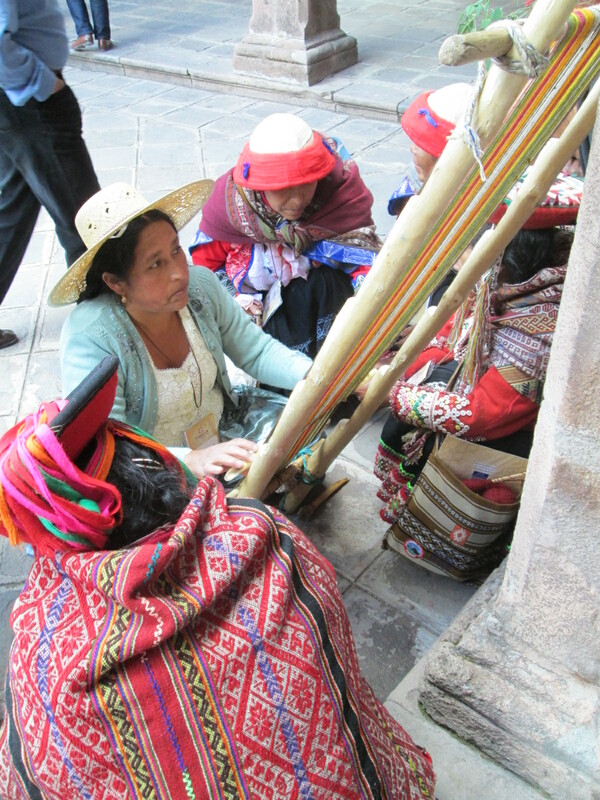 The initial request for technical assistance from rural Quechua weavers to revive natural dye techniques and help market their weavings became the PAZA objectives. What is PAZA today? It is you and I who know that due to the imbalances in the world, peace will be forever elusive. It is also the weavers who are too busy struggling to survive to have a bigger world view than their family and community. There is no organization, foundation, institution, or charitable deduction. I donate my time working at a grass roots level and link to you who can provide financial support, help in locating sales venues for the weavings, and in technical assistance. PAZA is a work of the heart that allows you, me, and the weavers to each do our bit in tackling what seems like insurmountable obstacles in bringing balance into the world. My name is Dorinda Dutcher, and I am the author of the blog postings. I was born in Kansas and the travel bug bit me at an early age. A career in tourism spanning almost 30 years began with seasonal work in Katmai National Park, Alaska. Over half of my career was as a seasonal employee leaving a large chunk of the year free to travel. During my travels I developed a passion for indigenous textiles. To have this opportunity to work with the remarkable Quechua weavers is an honor and one step beyond my wildest imaginings. Doña Màxima Cortèz has been my local counterpart for 10 years. Observing her empowerment as a leader in this local movement to rescue, conserve, and commercialize the traditional weavings has been very rewarding. She is a weaver with the eye of an artist in combining color and is highly motivated to learn more and teach about local plant dyes. She grew up in the rural community of Huancarani learning the weaving tradition from her mother. Her school years were a misery because she was sent away until they ended after 4th grade. At the age of 16, she moved into her mother-in-law`s house and was given an empty room as her kitchen. She remembers knitting ch`ulos (knitted caps with ear flaps) and desperately trying to sell them during market day in Independencia. In that way she slowly accumulated pots, plates, cups, spoons, and a few weekly grocery staples. She is mother of 5, both of her daughters are weavers, and a grandmother of 6. 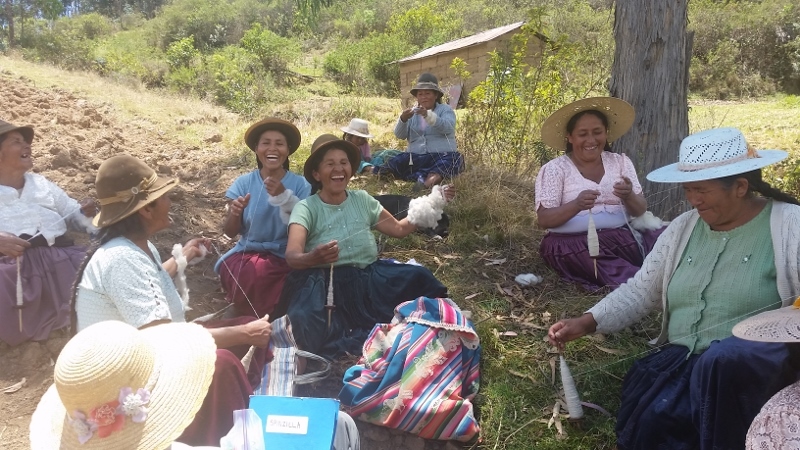 I thank my lucky stars for Doña Màxima, because none of this would be possible without a Quechua weaver as a partner. 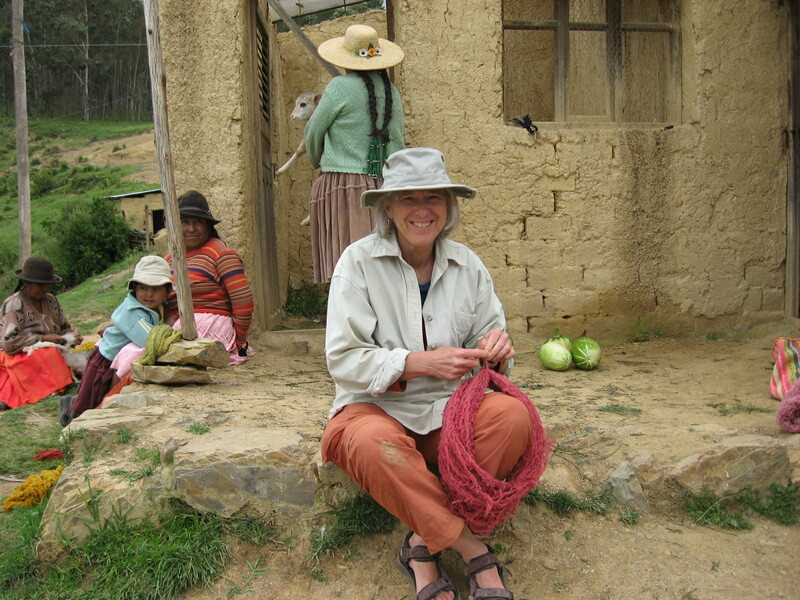 Developing the series of 5 workshops during 2009 was tough because I had to learn to trust her translation of my conceptual view of teaching into the experiential learning method appropriate for the unschooled weavers. We never arrive at our goals within the established timeline via the logical progression of steps I labor to put down on paper. I have epiphanies from time to time exclaiming in excitement we´ve reached our goal. Her response has always been a kind knowing smile reserved for her well intentioned but rather slow witted foreign partner. 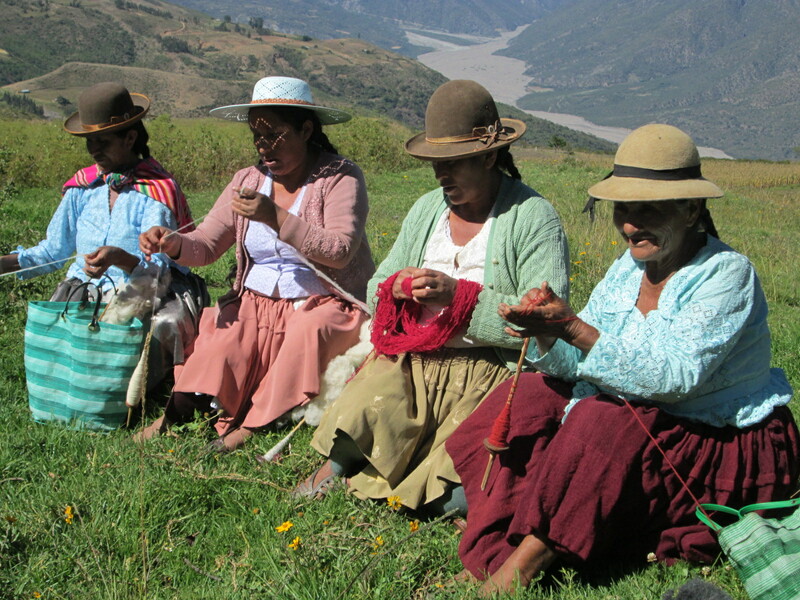 Weaving is an integrated activity in the subsistence farmer lifestyle of the rural Andean weavers. The women hand spin daily with a drop spindle while shepherding their sheep, which provide the primary material. The biodiversity of the Andes provides a plethora of dye plants. Sales of their traditional weavings is an ideal way for women to generate income to maintain their families, which has become increasing difficult in this time of transition into the modern world. In 2010, PAZA began the Club de Chicas to involve teen girls in traditional and modern skill building activities to widen their horizons on the possibilities life can offer. The name changed to Club de Artesanas in 2012 because of the older women who had joined. The main focus will always be to empower the weavers by helping them gain financial stability through the sale of their craft to maintain their families while at the same time preserving their weaving heritage. PAZA entered into its third phase in April 2018 when it became obvious that Doña Maxima deserved the opportunity to manage the Independencia based activities without foreign influence. 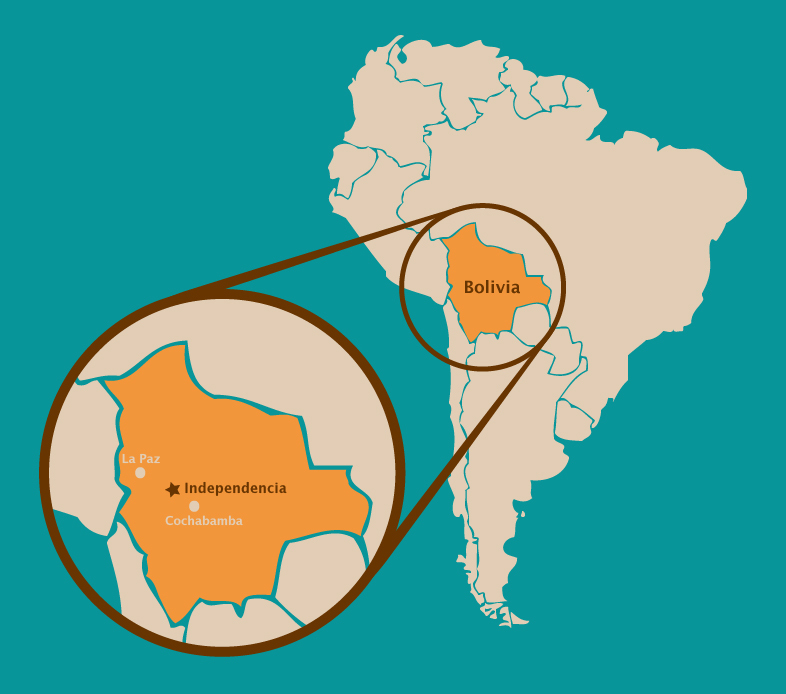 After almost 12 years of living in Independencia, Dorinda returned to her home in Bozeman, Montana to arrange her life to continue to support the weavers long distance and to visit Independencia annually to expediate the weaving orders. This still exists? You guys still presently active in this village? Dorinda returned to the U.S. in April but continues to work long distance with the weavers. Doña Maxima is in charge in Independencia and doing a great job.